The imaginative world of Dr. Seuss comes to life like never before in this visually spectacular adventure from the creators of Despicable Me! Twelve-year-old Ted will do anything to find a real live Truffula Tree in order to impress the girl of his dreams. As he embarks on his journey, Ted discovers the incredible story of the Lorax, a grumpy but charming creature who speaks for the trees. 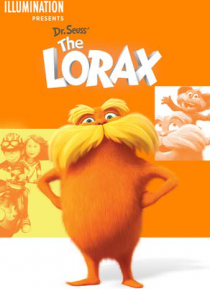 Featuri… ng the voice talents of Danny DeVito, Ed Helms, Zac Efron, Taylor Swift, Rob Riggle, Jenny Slate, and Betty White, Dr. Seuss' The Lorax is filled with hilarious fun for everyone!